My name is Kasahun Eyaya and I am 9 years old. I live in Ethiopia and need your help. 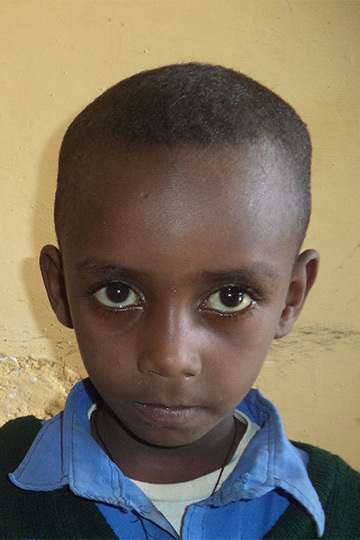 Kasahun lives in Alem Tena, a central region of Ethiopia, with his parents and two sisters. The five of them live in a rented house made out of mud because of their low income. His father is a laborer who tries to earn enough to support his family. Education and good clothing are simply beyond his ability to provide for his children. With your help, Kasahun will be able to attend Immanuel Light and Life school and have a basic education as well as the opportunity for holistic development.